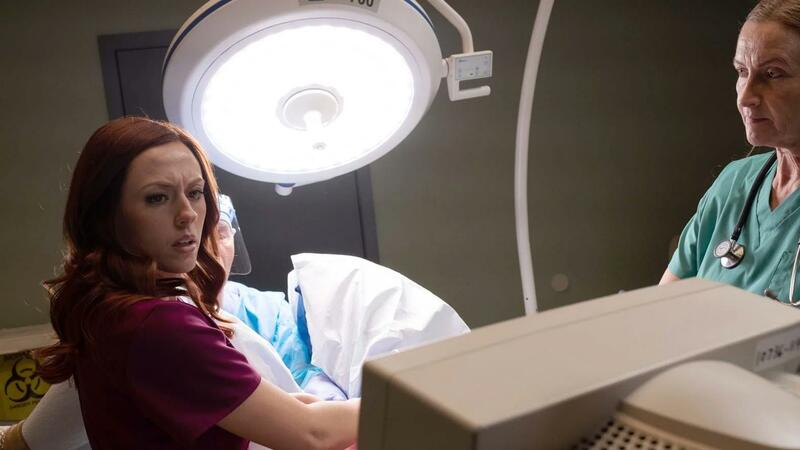 Following a nationwide trend, members of Covenant Church Spokane packed Village Centre Cinemas at Wandermere last weekend to view “Unplanned,” the new movie that follows the path of Abby Johnson, a Planned Parenthood director turned anti-abortion activist. “It was very hard to watch, we literally had people that went out to the lobby area that couldn’t remain in the theater because it was so gut-wrenching,” said Ken Peters, senior pastor at Covenant Church. Peters is the organizer behind The Church at Planned Parenthood, a group that leads a monthly service on the lawn outside Spokane’s Planned Parenthood center. The group has also held events in Yakima and Everett. Paul Dillon, spokesman for Planned Parenthood of Greater Washington and North Idaho, said the movie’s depiction of Planned Parenthood is inaccurate. The movie received an R rating for its depiction of abortions. ComScore reported the movie was eighth in sales in the country last week, generating $3.2 million. Joe Knopp, “Unplanned” producer, said not everyone who worked on the movie agreed with its rating, but he thought it was appropriate. Knopp credits part of the movie’s success to its grassroots marketing campaign that led churches like Peters’ to organize showings. “It’s actually been amazing to hear the amount of groups that have been either renting out the actual theater, a screen itself, or taking a large number of groups to go see that at a time,” Knopp said. The movie’s plot pivots around Johnson (Ashley Bratcher) assisting in an abortion at 13 weeks by handling the ultrasound wand while a doctor performs a suction abortion. In the movie, the fetus wriggles away from the suction while the abortion is taking place. This causes Johnson to have a crisis of conscience and become a pro-life advocate. The New York Times interviewed Jennifer Villavicencio, a fellow at the American College of Obstetricians and Gynecologists, who said the fetus’s movements in the movie were inaccurate. “If you watch an ultrasound, certainly there is movement, but it’s not kicking its legs or recoiling,” Villavicencio said. Reports in Texas Monthly also question Johnson’s accounts, noting that there were no ultrasound-guided abortions on the day Johnson specified, and that she had negative performance reports from Bryan (Texas) Planned Parenthood leading up to the date she quit. Bohach is a parishioner at St. Mary’s Catholic Church in Spokane Valley and said she discussed the movie with women from her prayer group outside the group’s regular meetings, encouraging the women to see the film. Bohach said most of the people in the theater with her – which she said was full – were also women, and she felt that the portrayal of the women who worked at Planned Parenthood was fair and accurate. “I don’t have a problem with people who work at Planned Parenthood, my heart goes out to them because I just don’t think they realize what they’re doing,” Bohach said. Bryan Planned Parenthood, where Johnson worked, closed in 2015 and was replaced by Hope Pregnancy Center, a faith-based nonprofit that offers pregnancy tests, ultrasounds and counseling services. Texas is one of the handful of states where legislators filed “fetal heartbeat bills” that would ban abortion once a fetal heartbeat is detected, which can occur as early as six weeks into a pregnancy. In an article written by Johnson for the Federalist, she said the form that proves there was no ultrasound-guided abortion is a false document and that Planned Parenthood frequently falsifies dates. Knopp said he doesn’t doubt the veracity of Johnson’s story because Planned Parenthood issued a gag order on Johnson soon after she quit and the judge overturned the order.